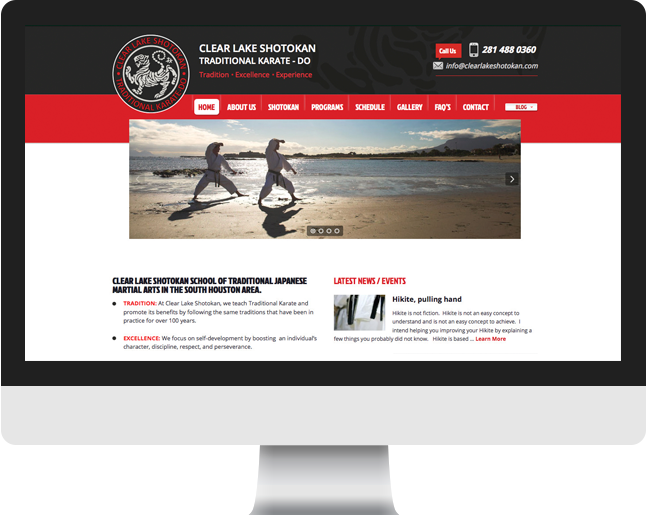 Clear Lake Shotokan is a new Karate Dojo opening its doors in Clear Lake, Houston, Texas, that teaches students Traditional Shotokan Karate. 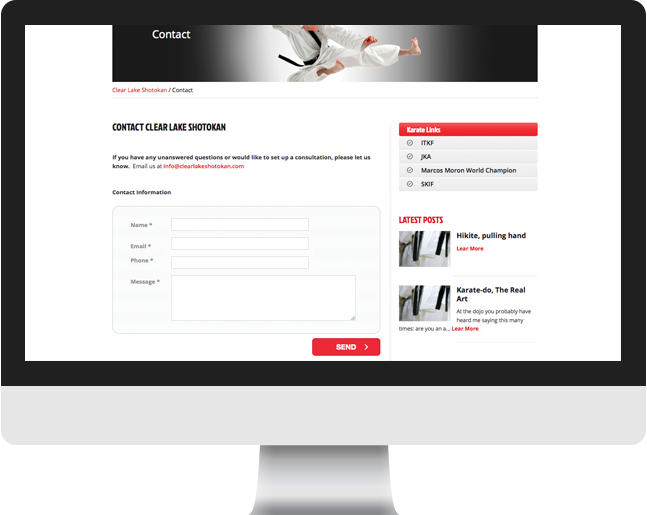 The client contacted Cultura Interactive to create a website that would reflect the classic and tradition of its Martial Arts. 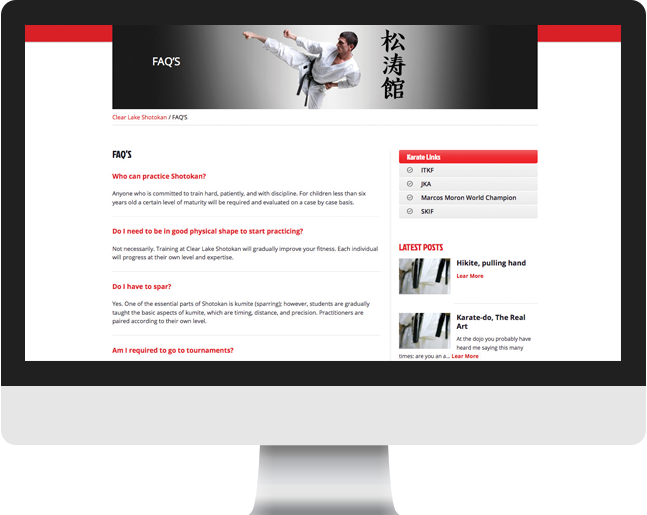 Combining the black, red and white colors throughout the website helped maintain their brand identity, while still creating a clean and friendly environment for users. The website was developed on a CMS and a custom WordPress theme with special features to manage photo galleries, videos, slideshow, and a blog section. It is an easy platform that can be used to communicate special events and news with their users and students as well as improve their Internet marketing ranking. Apart from designing their website, we also extended their whole brand identity to their stationary. 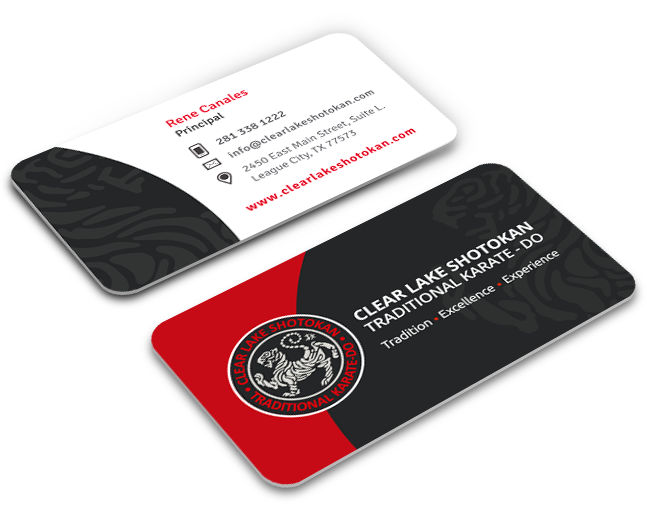 We designed their business cards and letterheads to maintain brand consistency and recognition while directly influencing all future design and functionality decisions made throughout the website and print collateral. 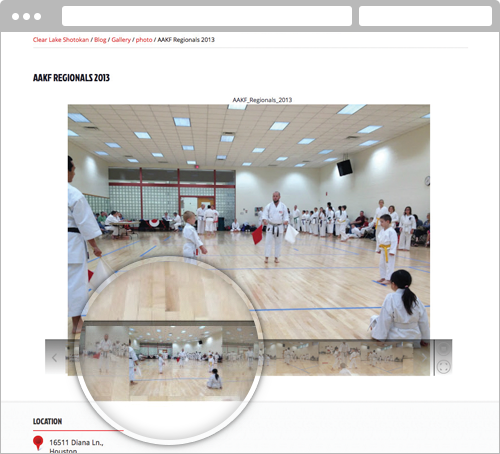 Through the gallery of photos and videos, they are able to showcase the lessons and tournaments the attend throughout the years. 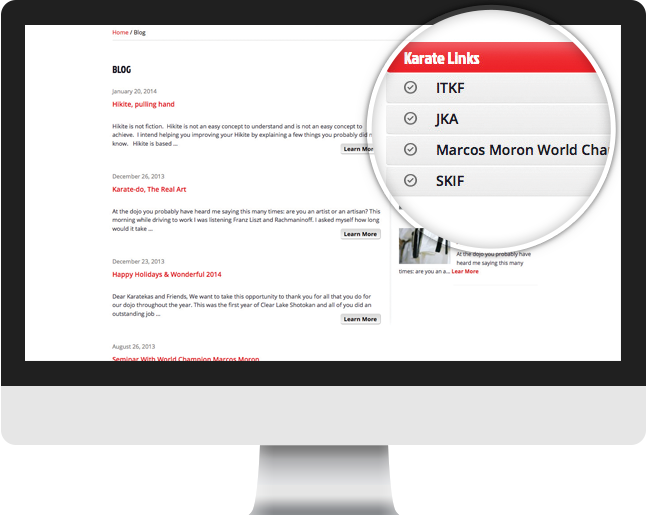 This allows users to have a visual representation of the classes that are offered at Clear Lake Shotokan.